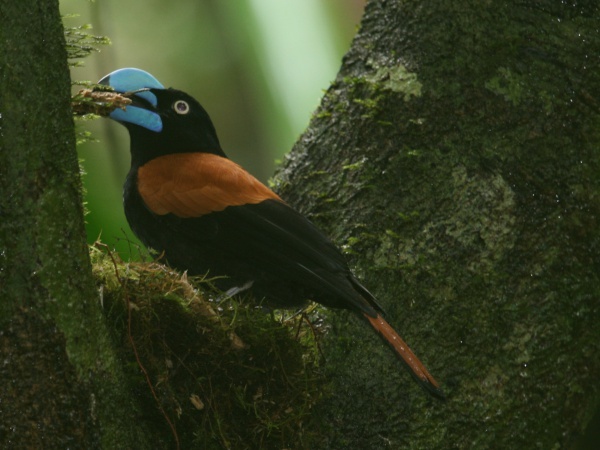 The Helmet vanga (Euryceros prevostii) can be found in the lowland forest of the Masoala peninsula in the northeast of Madagascar. The bird is easily recognisable by its large blue beak. This page was last modified on 26 March 2019, at 06:50.